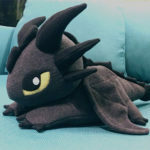 Around a year ago, I shared a few photos of a little dragon plushie I sewed, and mentioned I wanted to try making a Zwi version. Well I finally had a chance to do it — meet Plushie Zwi! With the completion of the Spell Weaver trilogy and an upcoming sequel series, the Steel & Stone Universe is growing even larger. The Spell Weaver and Steel & Stone series can be read in either order, but if you’re not sure how the books fit together or want to check you haven’t missed anything, here’s the chronological reading order. 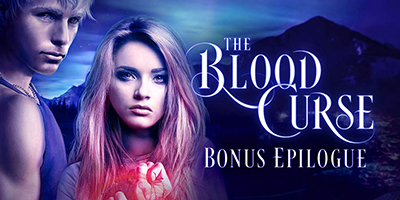 If you’ve finished reading The Blood Curse, don’t miss the bonus epilogue that takes place five years later—after the events of the Steel & Stone series! The Shadow Weave release & new series covers! The Shadow Weave is here! The Shadow Weave comes out this Friday, and in case you just can’t wait, here’s a little teaser from Chapter 1! 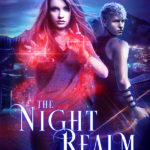 The Night Realm is here, and for a limited time, it’s only $0.99! The second installment in the Spell Weaver series, The Shadow Weave, is now available for pre-order, coming January 12, 2018. © 2018 Annette Marie, Dark Owl Fantasy Inc.
Annette Marie & Dark Owl Fantasy Inc. is a participant in the Amazon Associates Program, an affiliate advertising program designed to provide a means for sites to earn advertising fees by advertising and linking to Amazon.com, Amazon.co.uk, and Amazon.ca.